I do pet portraits!. 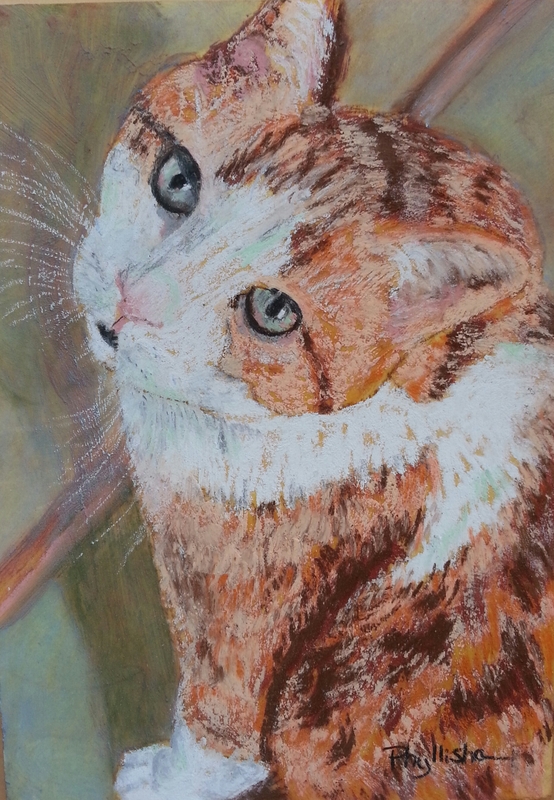 Send me a sharp, clear photo of your pet and I will paint him or her in pastel. A 5″x7″ portrait of your beloved pet is $45 and includes shipping. When I finish, I will send you a pay pal link via email to collect payment and ship your painting. My husband and I met you at the Inn at Loretta and bought a little squirrel painting from you this summer. 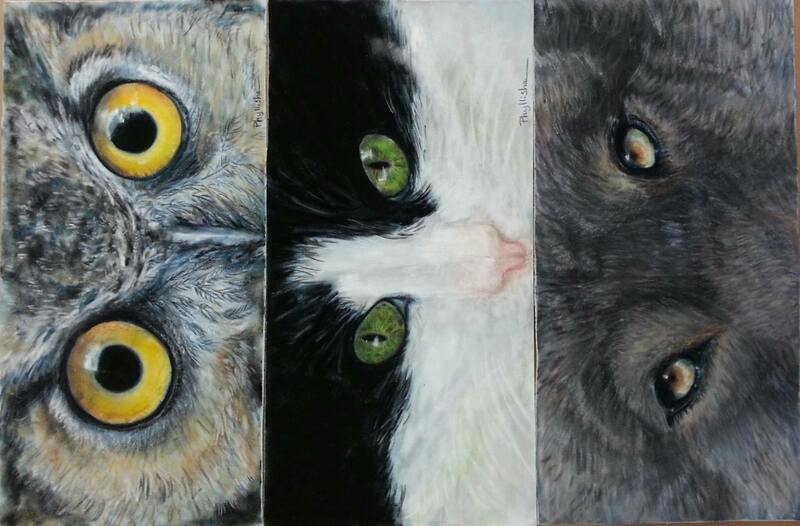 Is it too late to order a pet portrait for Christmas? Is it possible for you to do a custom cutting board – a Texas Longhorn and Horned Frog? Both my sons graduated college from those two schools. We recently stayed at the Inn in Santa Fe and we spoke in the lobby.